Ta da! A completed guest bathroom. This bathroom is a two room bathroom, separated by a pocket door. 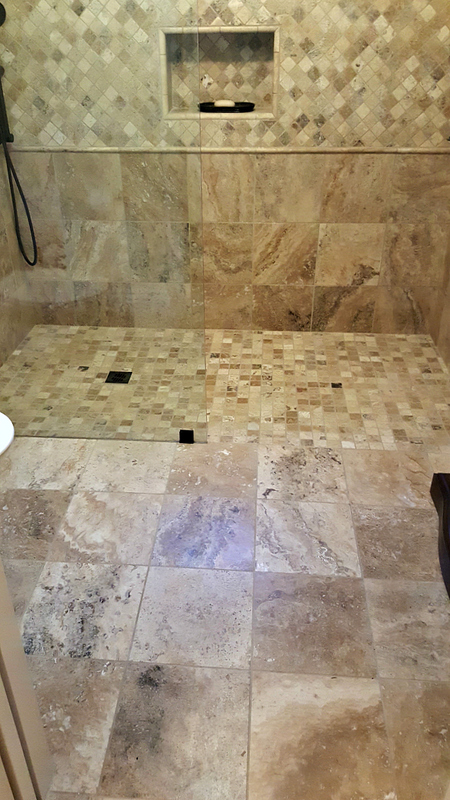 The new shower is a curbless shower, which makes it easy to walk right in. The shower floor is sloped to keep the water in the shower. 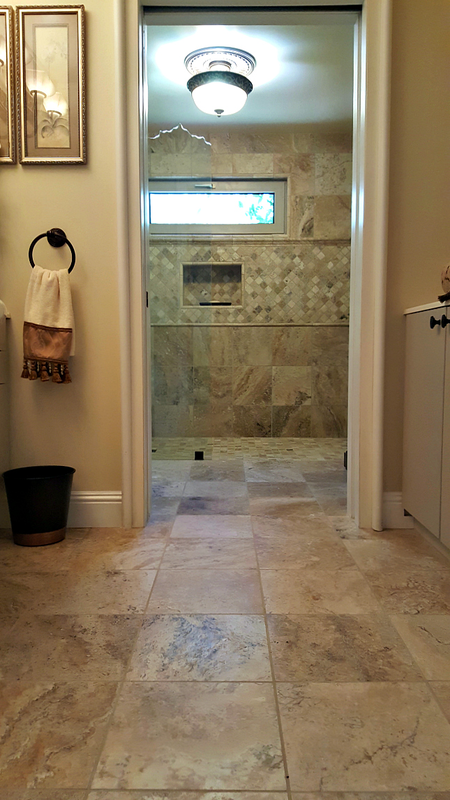 We chose travertine, as we already have it in our home on most of the floors, showers, etc. The picture below was the original and does not show a step that was added later. Even with the step it was difficult to get into and out of. The bathroom was a poor design to begin with. The tub came from Germany and was narrow to save water. In addition the tub was raised up making it very difficult to step up and over. The cabinets are melamine. My husband painted them with a Rustoleum paint and primer spray paint, which is featured below. 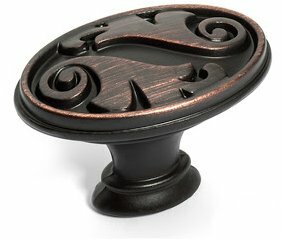 We also ordered oil rubbed bronze knobs. I wanted a wide band of 2x2's for the border. These were installed diagonally. The glass is about 42" and we decided to go with the chipped edge. The bronze light fixture we originally had in our downstairs bath, before we replaced it with a crystal chandelier. It looks great in here. A very large walk-in shower. We took several showers to test it out. Works perfectly with no water escaping. It feel so roomy and open. 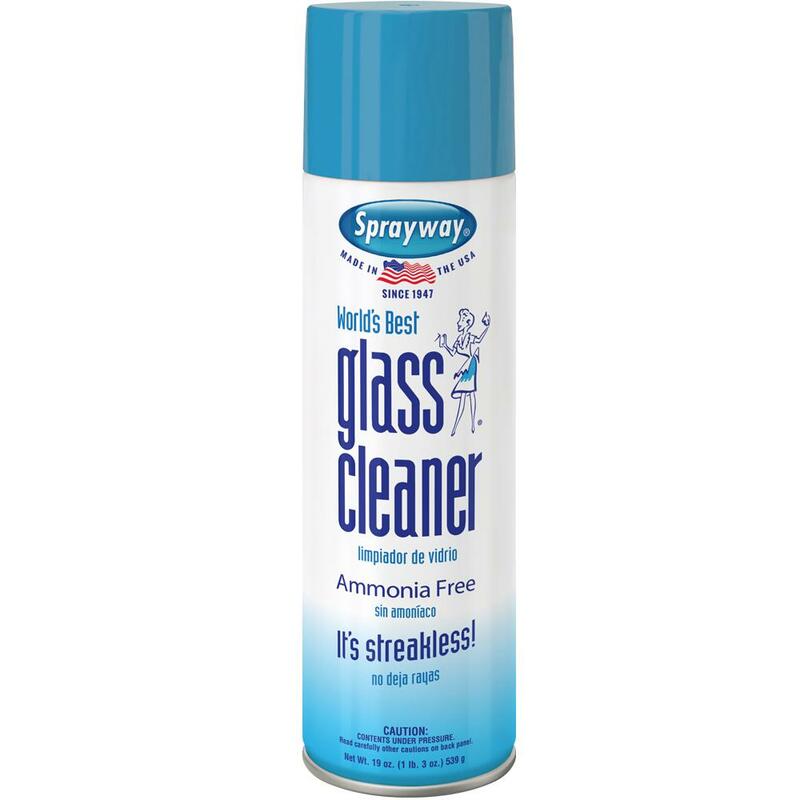 We had the glass treated to prevent water spots. 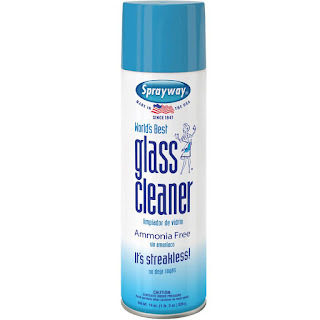 We use a squeezee and the glass cleaner from Home Depot, which was recommended by the Glass company. 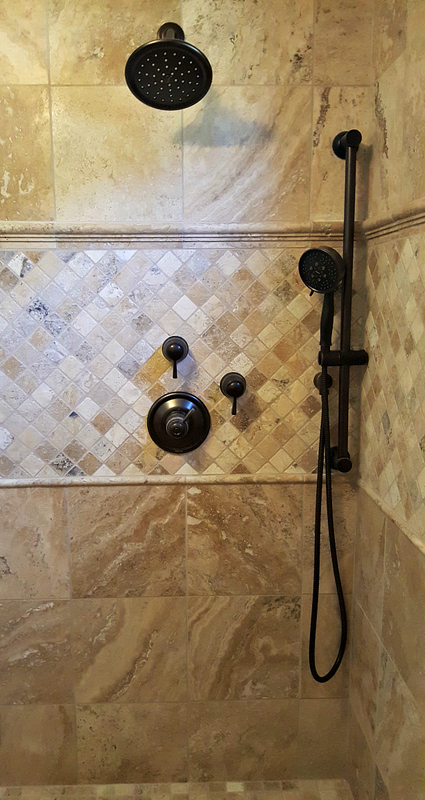 Oil rubbed bronze shower components tie in with the Tuscan look. A wide niche for the bath products. 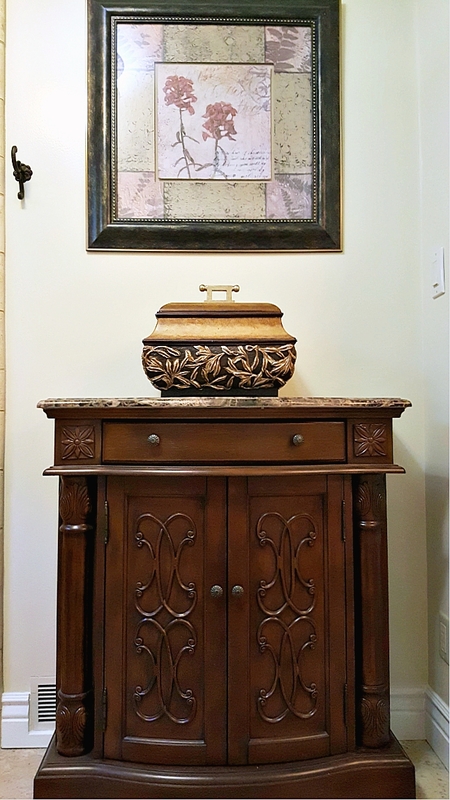 The ceiling light matches the decorative box on the small cabinet. I found this cabinet online. 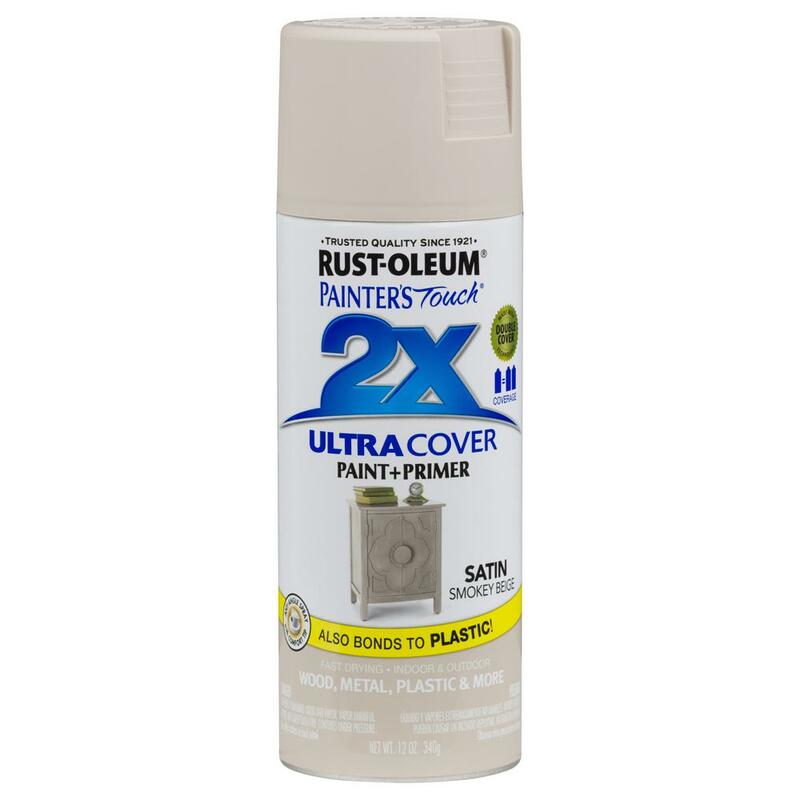 I checked prices and Houzz had it for less. 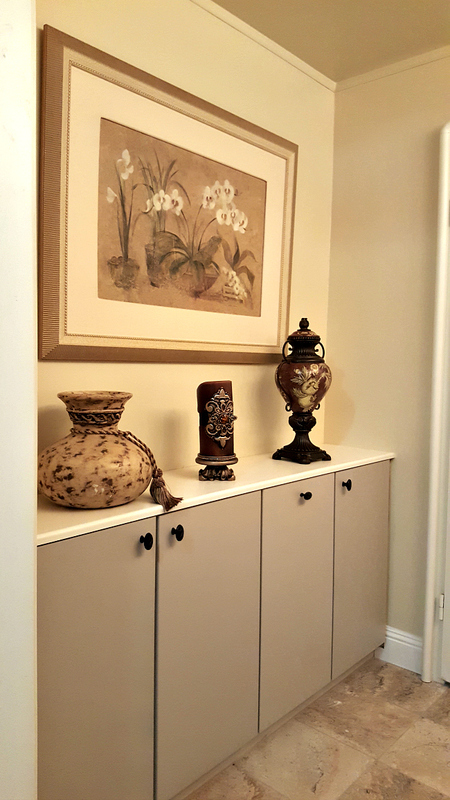 A perfect little cabinet that fits the space nicely. 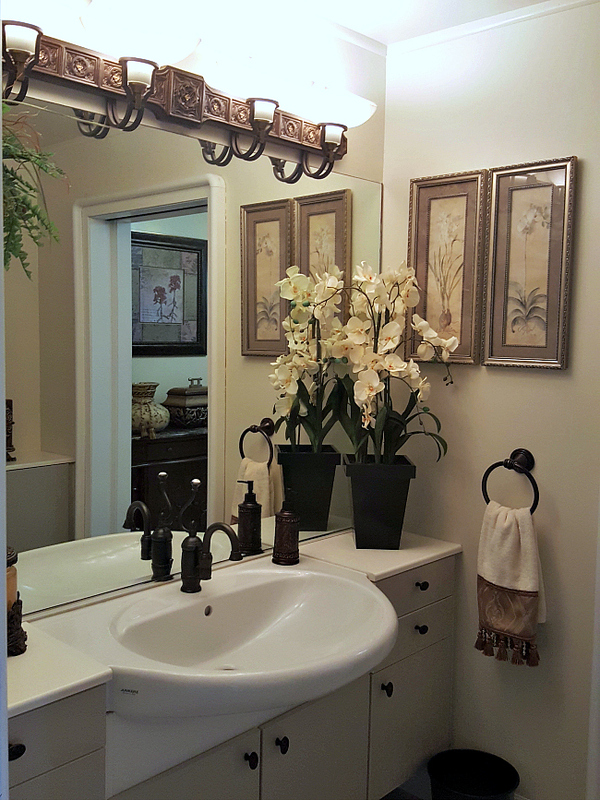 We are very pleased with the outcome of this guest bathroom. Now, we do not have to worry about guests tripping on that darn step and that narrow tub. Just walk right in. This is so elegant, Linda! I love the glass on your shower and the tile is beautiful. NICE!!!!!!!!!!! 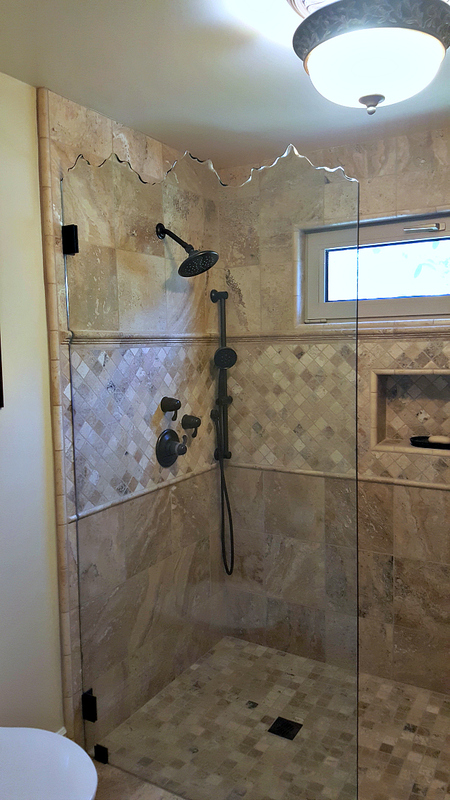 I am totally in love with that jagged edge shower door!!!!!! Looks lovely - the door is so unique! Wow that turned out quite fantastic! The travertine tile work and glass are beautiful. This will also be user friendly to someone with special needs. This was quite an undertaking! Wow! I really love the tile work and the cool glass door! Linda, it doesn't even look like the same room! Beautiful update! Can I make a reservation??? :) It looks fabulous. Very luxurious! How beautiful!!! How can it be the same room??? 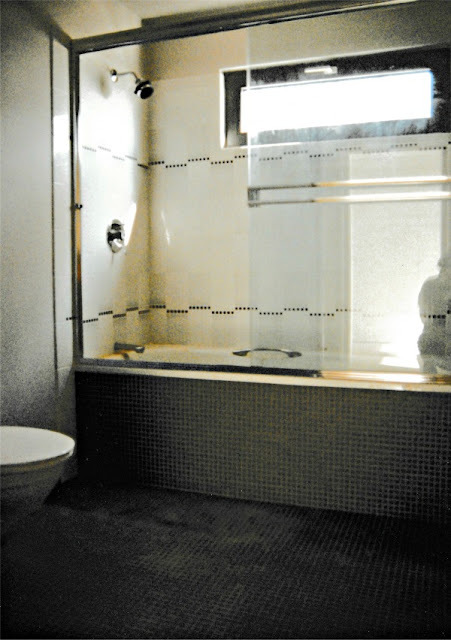 Love the tile and the glass shower, very classy!!! Fabulous! Any guest would be pampered properly in there. Well done! Gorgeous! Your guests won't want to leave. I love the door too..and it all feels beautifully Tuscan to me..like your gardens!! 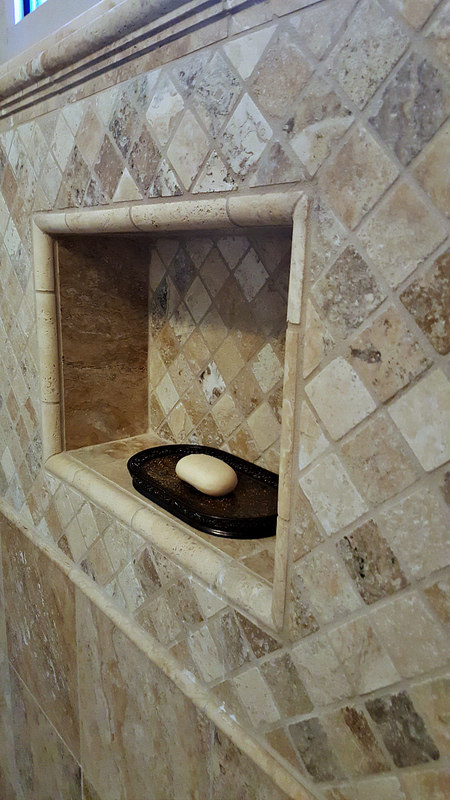 Oh my goodness Linda, the guest bathroom looks amazing!! Your hubby did a great job on spray painting the cabinets. Your guests will be thrilled!! Just beautiful! We have a huge shower in our new home with a nice built in bench and hand rail. We figured we'd better think about "older" age in this house. :o)) Happy weekend! You couldn't get rid of me if I were a guest, Linda, this bathroom is so luxurious and lovely. What a beautiful makeover that is functional and stunning all in one. Often times that is challenging to do but you (naturally) you tied it all together wonderfully! I just love it! Wow! 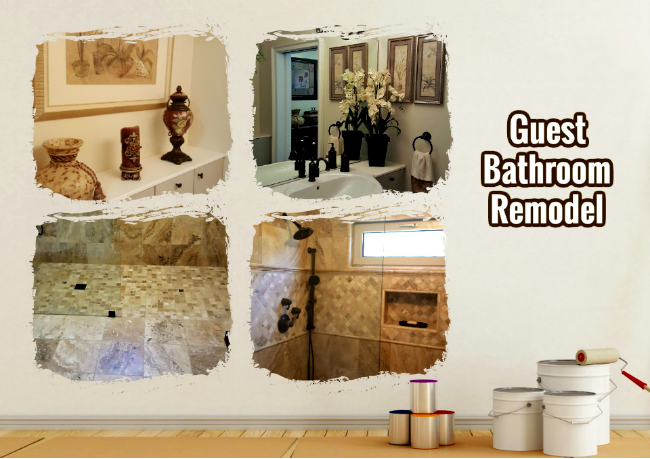 Your new bathroom is so beautiful! Looks like it belongs in a model home! Beautiful! What a great bathroom DIY! What a transformation! Love the walk in shower! Great job! Oh that shower is a work of art Linda! I love all of the special touches you added. I myself am a bather but boy, this gem could quite possibly convert me. Have a beautiful day!